Proper handling of high-quality flooring demands a delicate balance of control and flexibility from start to finish. To facilitate this, we have established a distribution chain that ensures the level of quality, experience, and dedication we require every step of the way. Most of the services listed below happen behind the scenes, but rest assured that each and every one of them is handled locally, under our direct supervision and to our exact specifications, at our 40,000-square-foot finishing facility here in Los Angeles. 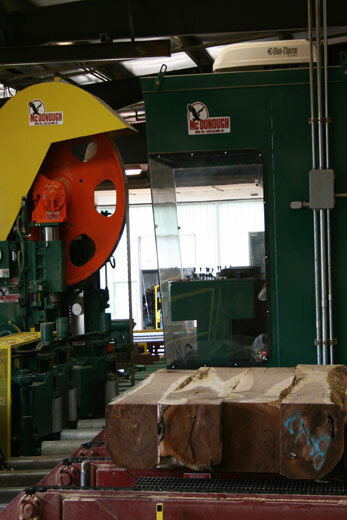 We source our lumber from a handful of trusted purveyors who deliver to our exact specifications, then we handle every aspect of milling ourselves: from basic ripping, planing, and surface sanding, to detailed end-matching and edge-milling. This gives us complete control over lengths, widths, selections, knot variance, percentage of knots, and grain patterns. Tongue-and-groove? Of course. Special-edge finishes? Any kind required. SFC is equipped to handle every aspect of this first, most important phase of hardwood floor manufacture and installation. For the most efficient install possible, we custom-fit floors off-site in a 15,000-square- foot staging area of our modern local facility. There, we can handle assemblies and glue- ups of all kinds, including mitered returns for treads and risers, creating custom nosings, treads, transitions, and thresholds, to fit any space. Our meticulous care with installation continues onsite. 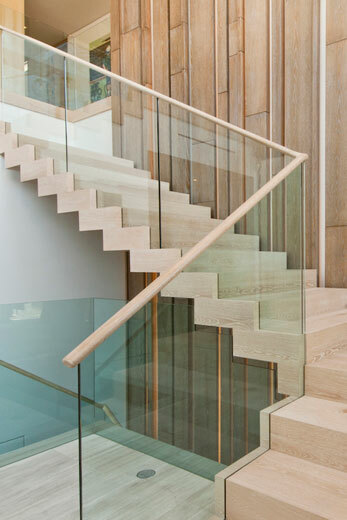 Beyond handling the obvious basics (flooring and stairs), we also quietly and thoroughly fix and prep the things you may not notice, but which are critical to beautiful, lasting results. 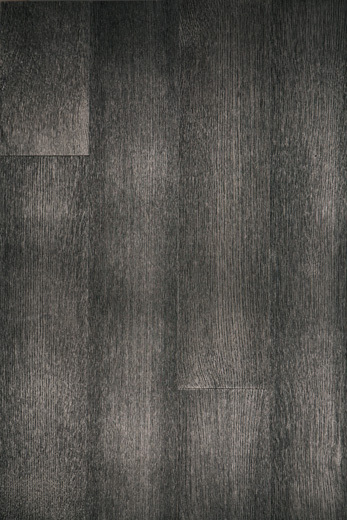 We make sure your sub-floor is perfectly graded, correcting any anomalies pre-installation. We work with your architect and contractors to ensure perfect abutments with walls, built-ins, and other flooring materials. And we provide sound-proofing and moisture protection, as necessary. 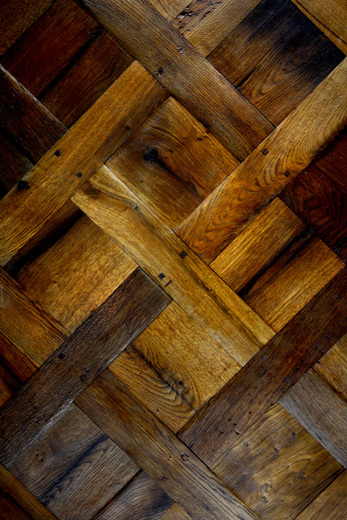 Whether your tastes run to chevron or herringbone, our patterned parquet floors feature tongue-and-groove fitting, and utilize "Perfect Tile" sizes, with scale adjusted to your actual room dimensions, rather than a fixed measurement. You can choose from over 24 standard patterns, or use them as a jumping-off point for your own design. And of course, you are always welcome to work with us in creating a completely custom design for your floor. To achieve custom aged looks, we can provide any surface, edge, or re-saw treatment called for, mixing and matching various techniques as needed: scraping, planing, tumbling, burning, and so on. We have also developed a range of proprietary wire-brushing techniques in our ongoing quest to serve our clientele with unique, custom looks. Our deep experience in re-sawing techniques, both bandsaw and circular, allows us to create a range of interesting textures and features. We can also handle any edge treatment called for—beveled, rolled, broken, or scraped— as well as established styles such as "Cajun Corners." And using a cluster of techniques called "virtual reclaim," our skilled technicians can even turn out new-harvest wood that looks like vintage, reclaimed stock. Our bottom line: no matter what color you're dreaming of, SFC can make it a reality. As with everything we do, at SFC we never cut corners with our chemical treatments. Rather than applying only a topical liquid for effect, ours is a true, through-and-through treatment using processes like fuming, resulting in an end product that is truly "re-wooded". Similarly, when we bleach, chem-age, or utilize one of our proprietary techniques, you can rest assured that your flooring will be exposed to nothing less than the highest-quality treatment. We pride ourselves on giving our full attention to even the smallest details, like blending custom knot and other filling colors that fade seamlessly into your flooring. What other flooring companies consider minutiae, we regard as an integral part of our job. 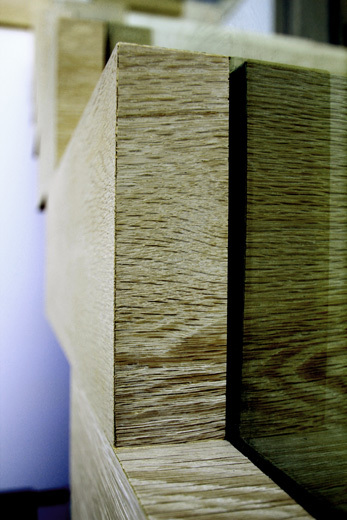 We employ third-generation craftspeople, giving us access to deep experience with all methods of wood finishing, from water-based poly or urethane to traditional hard-wax oil, oil-modified poly, and 2-part oils. Combining that depth of experience with the modern machinery at our facility means we can also create unique custom finishings, like our proprietary Metallics™ line. As with color, any finish you desire, we will supply. Part of our superior level of service rests in perfecting every link in our distribution chain, and packaging and delivery are no exceptions. Your flooring travels from our facility custom-crated in strapped bundles and palletized loads, with custom, no-scruff inter-layers. Serialized bundles with marked footage help streamline installation, minimizing time and mess in your home. Most of what we do, you'll likely never see, nor even have to think about. We believe it is our job to handle every detail, no matter how small or invisible, so that the end result is not only an impeccable, fully-customized floor that is unique to you alone, but an experience you'll actually enjoy having. At the end of the day, you can rest assured that the way you see us handling any one thing is the way we approach every single thing: with care, attention, and your complete satisfaction as our ultimate goal.